Employee Feedback. Doesn’t this term bother you at times? It does. Why? Because employee feedback is an important element of a successful business workflow and you all know it! Though managers and HR people put hard efforts to pat employee’s back and list down the non-performers, it’s just not enough. There’s something more to it. The proper way to share employee feedback is what we are talking about. Let’s face the truth… Open and genuine employee feedback is a necessity for professional growth. Employees can only improve their skills when they are aware of their incompetence. The reasons to provide feedback may vary from person-to-person. At times feedback is provided to point out instances where employee has fallen wrong, and sometimes, it is given to appreciate exceptional performance. Giving and receiving feedback is not as easy as it sounds. Ask any HR person, you will get to know how delicate the process is. Every manager and HR needs to learn the tactic to manage feedbacks positively so as to recognize employee efforts and help them grow better. After studying and researching a lot, I have concluded that nothing more can be painless and effective for an HR person than learning few quick tips on how to deal with employees and provide them constructive feedback. Here you go. It is better to start the feedback process on a positive note. Discuss some of the employee achievements before you start the feedback discussion. Use positive and motivating words. Remember, your words are going to make a deep impression on the employee. So try using a positive tone while pointing out the areas that need improvement. The latter one sounds better. Isn’t it? The value of consistent feedback is immeasurable. Positive feedback promotes employee engagement. Similarly, providing feedback regularly help employees to know the competency gaps. If there is something really important, say it. Do not wait for annual employee appraisals to share your opinions as it could affect your business unfavorably. 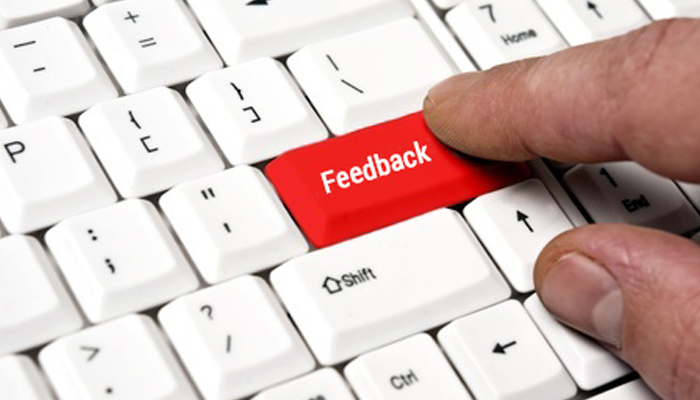 Regular feedbacks are very important to bring improvements in employees’ day-to-day performance. Before you start giving feedback, do some homework. List down all the important points to be discussed and be clear. Give precise comments while sharing negative feedback. You should always be clear with the purpose of the meeting. Use comments that encourage employees and help them to improve their performance. Take initiatives to help them work efficiently and grow better. A good feedback session is one, where both the parties can share their views. Ask some questions from your employees and allow them to speak openly on the concerned matter. While your employee answers these important questions, you should try to analyze what lead to this particular behavior or low performance or certain action. Listening to employee’s viewpoints gives you a different outlook on the matter. Make sure you never criticize your employees publicly and always find opportunities to encourage them by valuing their contributed efforts. You must be wondering why one should keep a record of these feedback discussions!! The answer is – it will help you in better decision making. Follow up is an extremely important step of employee feedback. Make sure you help employees to meet their goals by providing necessary training and coaching. You can also set new goals and help the employee to meet them before your next employee assessment meeting. It engages and encourages the employee to do better. Employee management is a difficult task. And managing employee performance is even more difficult. Fortunately, HR and the managers have the power to give feedback to their employees which makes things less complicated. Immediate employee feedbacks are effective and result-oriented and this is why every organization should encompass them as a regular activity. “Don’t you think consistent employee feedback can help you shape a better future for your business? Think over!